Sew what's cooking with Joan! 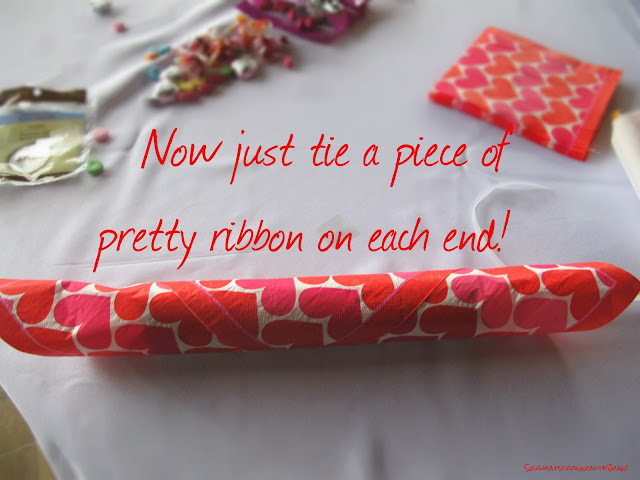 : Valentine Poppers!! Embroidered Tee's for the Grandchildren! 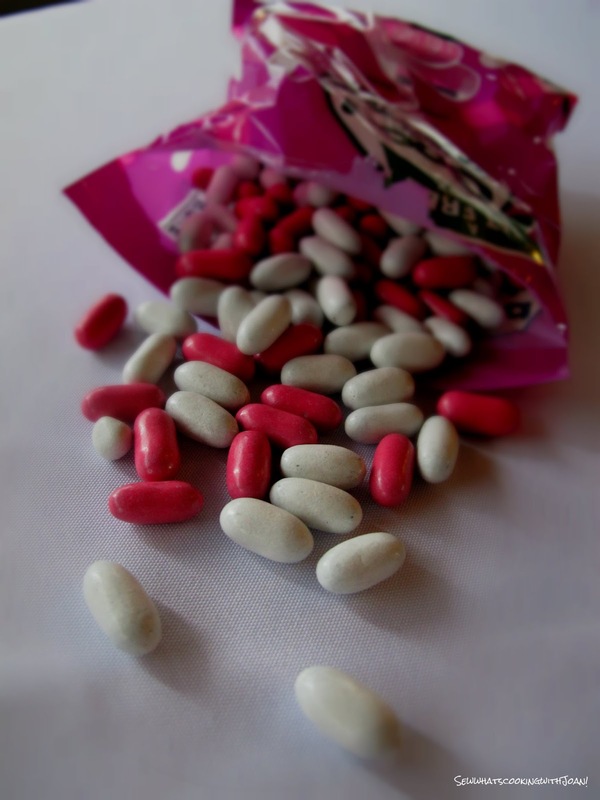 Valentine Poppers!! Embroidered Tee's for the Grandchildren! 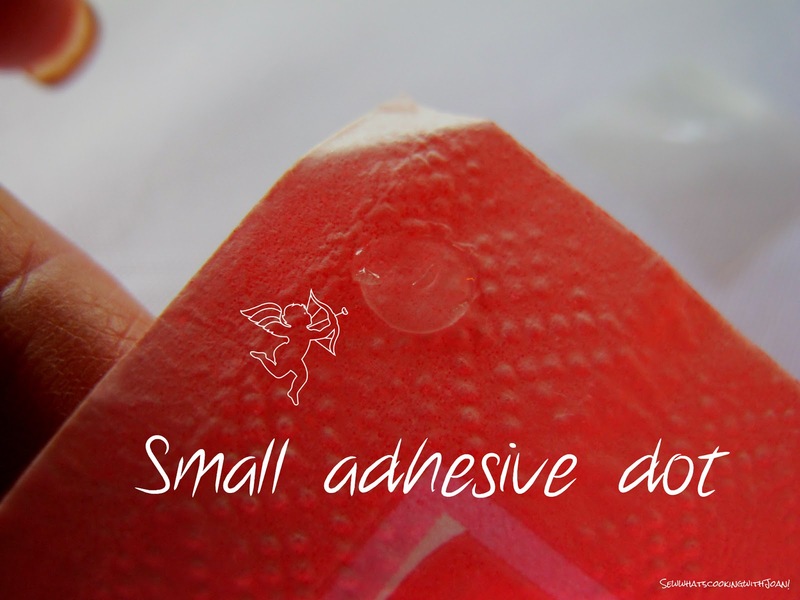 There's no reason to buy those cheesy pre-packaged valentine cards when making homemade Valentine's Day gifts is as easy as this! 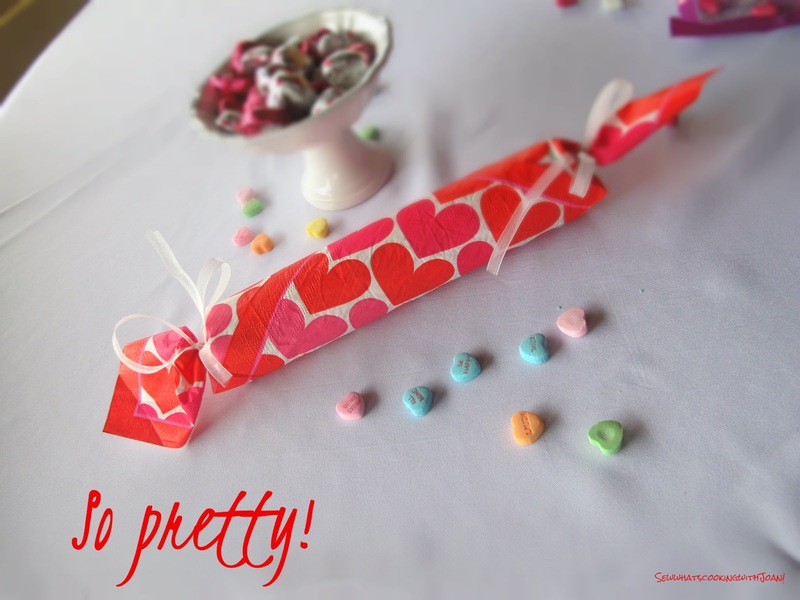 These Valentine Candy Poppers are the simplest Valentines Day craft for kids to make for their friends or for you to make for your kids or Grandchildren. Best of all, they're a great project for using up all of those cardboard paper towel rolls, or gift wrap rolls you've been saving up! I saw this on a morning show here in Scottsdale, and knew you would love it!! 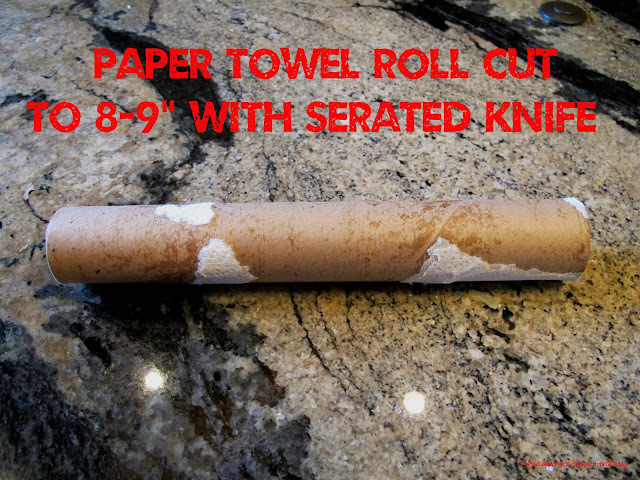 Scissors will crush the tube, so use a serrated knife. 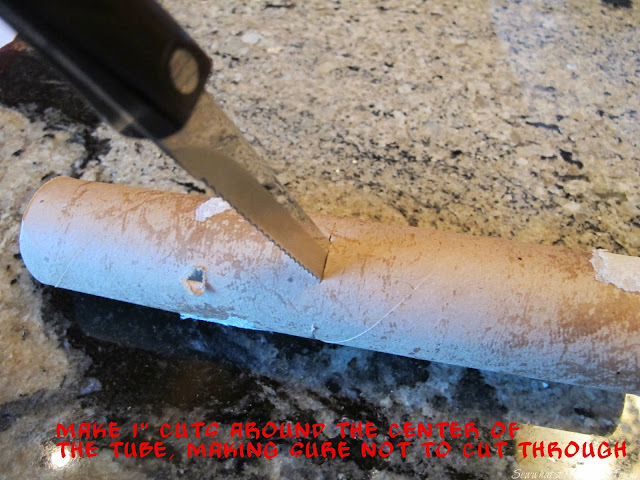 Be careful to leave at least three areas that are not cut through. 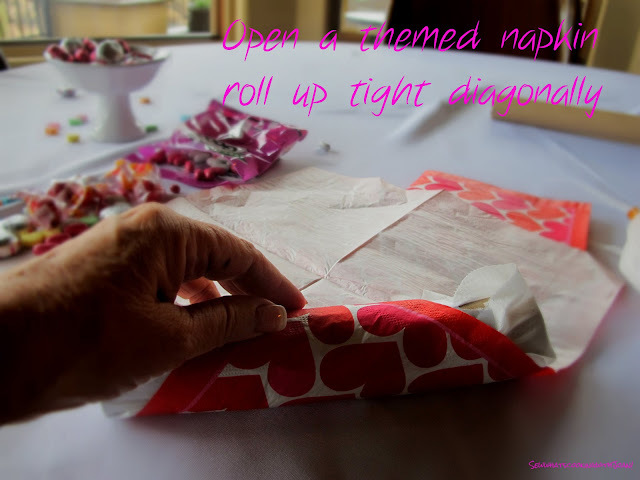 You can fill with candy, small age appropriate toys, even a tissue paper crown and other treasures. You want to use double sided tape, these adhesive dots or a decorative sticker to seal the napkin edge down. Glue or a glue gun will seep through the napkin, making it look messy. Now you are ready to give this pretty home made popper, or place at the table when you serve dessert! 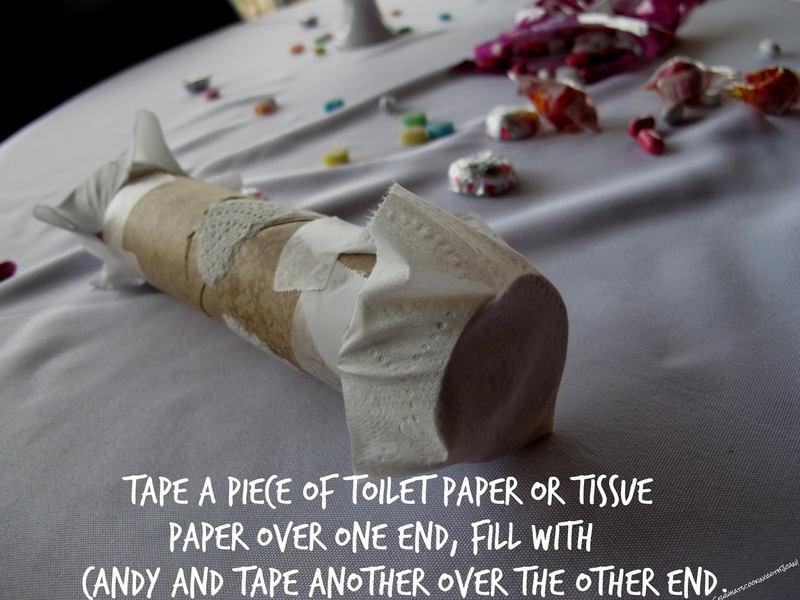 Grab each end of the tube tightly and pull, the tube will come apart right where you serrated it and the candy will fall out just like a pinata! How fun is that!! 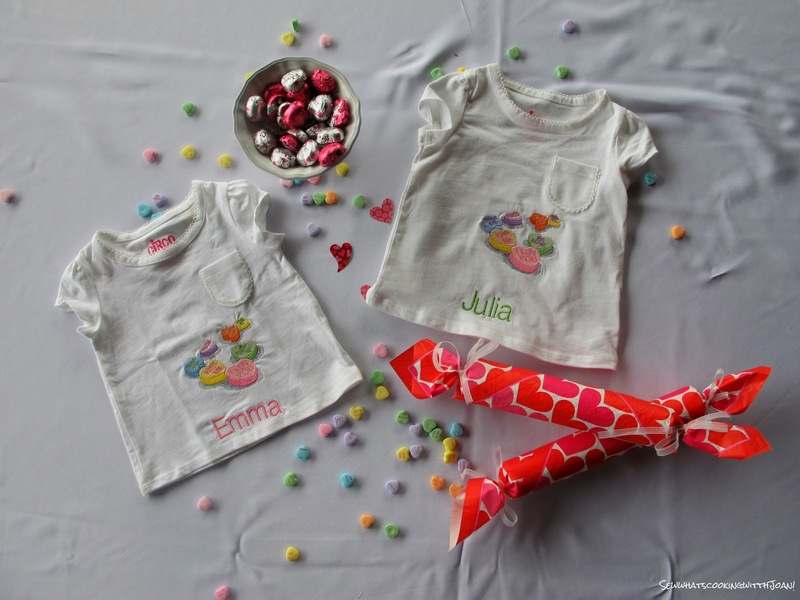 I also made my precious little grandchildren t-shirt's for Valentines day. 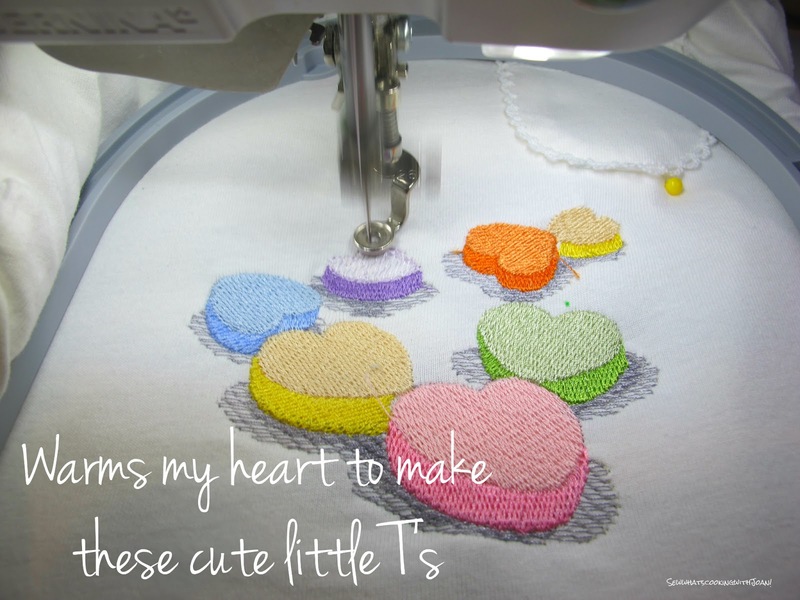 I used my Bernina 830 LE to embroider the conversation hearts and their cute little names. 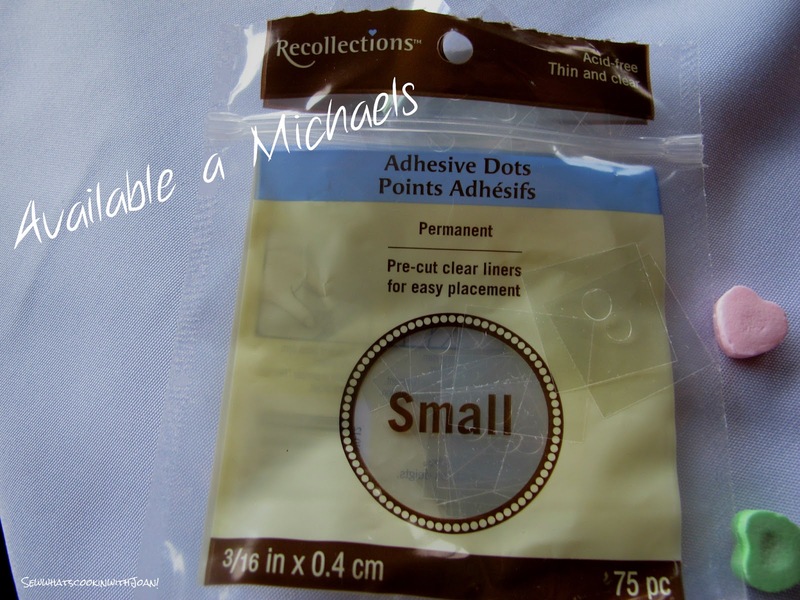 For my Sewist's, this is an idea! 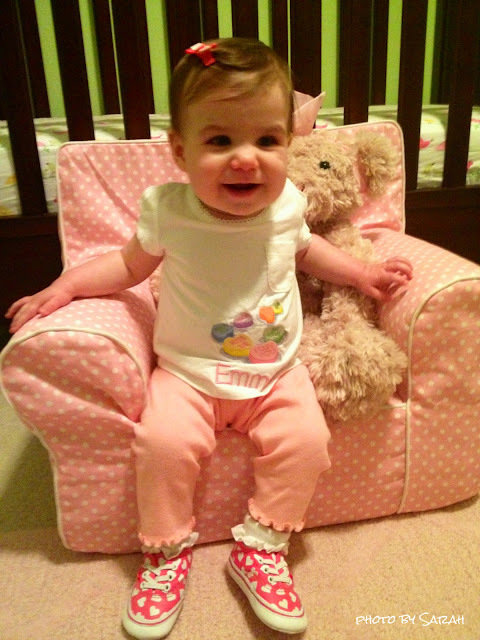 Little Emma, a "Fashionista" in the making with her little heart tennis shoes to match her Tee! 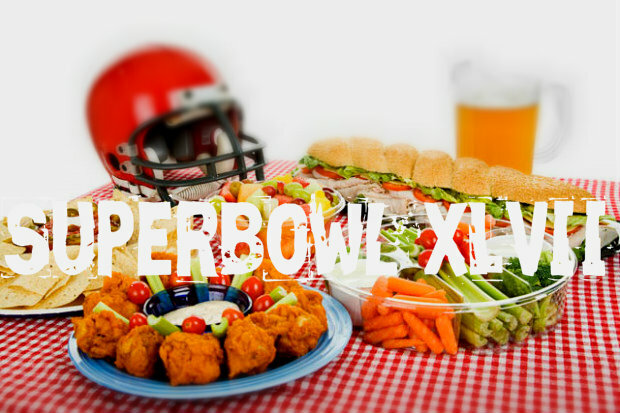 There are many reasons to throw a Super Bowl party or go to one. Friends, family and food are the three biggest for me! I hope you are able to enjoy this American tradition and that you score a touch down with a few of the delicious dishes we have given you, over the last couple of weeks. Have fun this weekend no matter what you do, start a quilt, a craft, Valentine project or watch the Superbowl XXVII game! 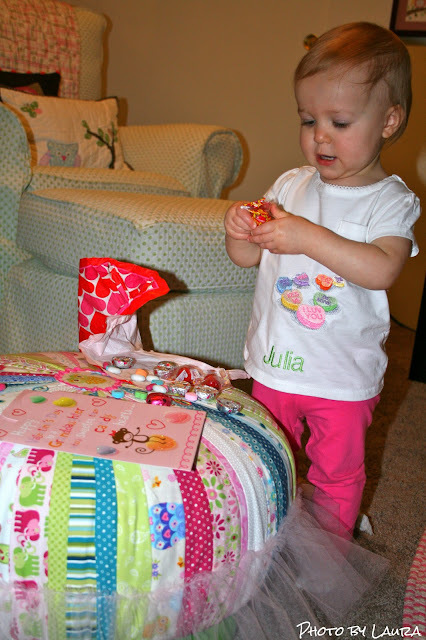 The Valentine popper was a huge hit with Julia. She had so much fun opening it. And I even let her have a couple of the candies! She received many compliments on her special tee. So adorable! Thank you!